We love supporting our local schools and the bread week project is one of our favourites. At St Anne’s Heath junior school in Virginia Water 60 Year 5 children took part, we supply all of the ingredients and the pupils create and bake their products as well as calculating the costs and profit and designing a presentation and advertising materials. This really is a great learning experience for them and best of all, we get to try all of them when we judge the winners! The winners this time were The Fruity Smooth Bread Company, who came into our store and sold their products making a profit of £20 for the schools fund-raising. 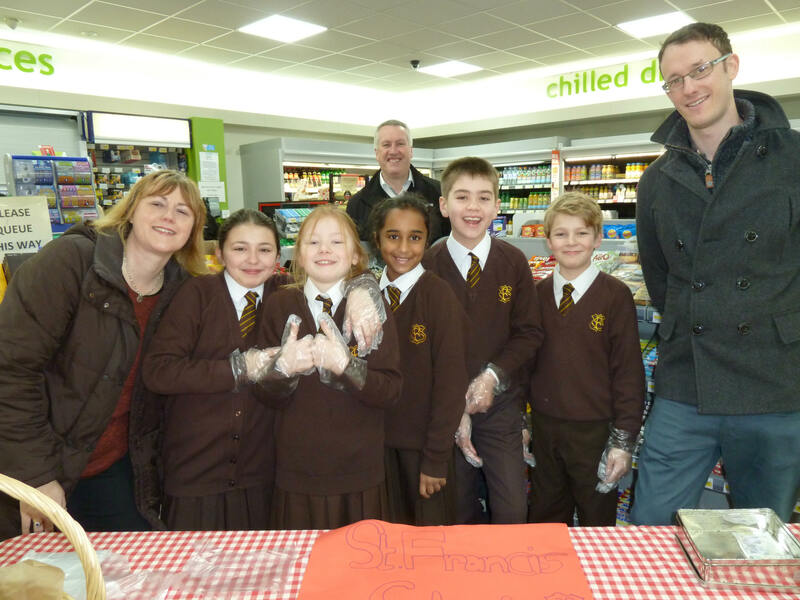 At St Francis school the winning team were SSSKD who sold their rolls in our Ascot store raising £35 for their school charity.